Learn here how Shunra Software uses service virtualization to help its developer users improve the distribution, creation, and lifecycle of software applications from Todd DeCapua, Vice President of Channel Operations and Services at Shunra Software, based in Philadelphia. 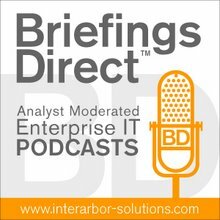 The discussion is moderated by me, Dana Gardner, Principal Analyst at Interarbor Solutions. Gardner: There are a lot of trends affecting software developers. They have mobile on their minds. They have time constraints issues. They have to be faster, better, and cheaper along the apps lifecycle way. What among the trends is most important for developers? DeCapua: One of the biggest ones -- especially around innovation and thinking about results, specifically business results -- is Agile. Agile development is something that, fortunately, we've had an opportunity to work with quite a bit. Our capabilities are all structured around not only what you talked about with cloud and mobile, but we look at things like the speed, the quality, and ultimately the value to the customers. We’re really focusing on these business results, which sometimes get lost, but I try to always go back to them. We need to focus on what's important to the business, what's important to the customer, and then maybe what's important to IT. How does all that circle around to value? Gardner: With mobile we have many more networks, and people are grasping at how to attain quality before actually getting into production. How does service virtualization come to bear on that? DeCapua: As you look at almost every organization today, something is distributed. Their customers might be on mobile devices out in the real world, and so are distributed. They might be working remotely from home. They might have a distribution center or a truck that has a mobile device on it. There are all these different pieces. You’re right. Network is a significant part that unfortunately many organizations have failed to notice and failed to consider, as they do any type of testing. Network virtualization gives you that capability. Where service virtualization comes into play is looking at things like speed and quality. What if the services are not available? Service virtualization allows you to then make them available to your developers. In the early stage, where Shunra has been able to really play a huge difference in these organizations is by bringing network virtualization in with service virtualization. We’re able to recreate their production environments with 100 percent scale -- all prior to production. When we think about the value to the business, now you’re able to deliver the product working. So, it is about the speed to market, quality of product, and ultimately value to your customer and to your business. Gardner: And another constituency that we should keep in mind are those all-important operators. They’re also dealing with a lot of moving parts these days -- transformation, modernization, and picking and choosing different ways to host their data centers. How do they fit into this and how does service virtualization cut across that continuum to improve the lives of operators? Service virtualization and network virtualization can benefit them is by being able to recreate these scenarios. DeCapua: You’re right, because as the delivery has sped up through things like Agile, it's your operations team that is sitting there and ultimately has to be the owners of these applications. Service virtualization and network virtualization can benefit them by being able to recreate these in-production scenarios. Unfortunately, there are still some reactive actions required in production today, so you’re going to have a production incident. But, you can now understand the network in production, capture those conditions, and recreate that in the test environment. You can also do the same for the services. We now have the way to quickly and confidently recreate incidents and fix it the first time, not having to change code in production, on the fly. That is one of the scariest moments in any of the times when I've been at the customer site or when I was an employee and had to watch that happen. Gardner: As you mentioned earlier, with Agile we’re seeing many more iterations on applications as they need to be rapidly improved or changed. How does service and network virtualization aid in being able to produce many more iterations of an application, but still maintain that high quality? DeCapua: One of our customers actually told us that -- prior to leveraging network virtualization with service virtualization -- he was doing 80 percent of his testing in-production, simply because he knew the shortcomings, and he needed to test it, but he had no way of re-creating it. Now, let's think about Agile. Let's think about how we shift and get the proven enterprise tools in the developer’s hands sooner, more often, so that we can drive quality early in the process. That's where these two components play a critical role. As you look at it more specifically and go just a hair deeper, how in integrated environments can you provide continuous development and continuous deployment? And with all that automated testing that you’re already doing, how you can incorporate performance into that? Or, as I call it, how do you “build performance in” from the beginning? As a business person, a developer, a business analyst, or a Scrum Master, how is it that you’re building performance into your user scenarios today? How is it that you’re setting them up for understanding how that feature or function is going to perform? Let's think about it as we’re creating, not once we get two or three sprints into use and we have our hardening sprint, where we’re going to run our performance scenario. Let's do it early, and let's do it often. Get the proven enterprise tools in the developer’s hands sooner, more often, so that we can drive quality early in the process. Gardner: If we’re really lucky, we can control the world and the environment that we live in, but more often than not these days, we’re dealing with third-party application programming interfaces (APIs). We’re dealing with outside web services. We have organizational boundaries that are being crossed, but things are happening across that boundary that we can't control. So, is there a benefit here, too, when we’re dealing with composite applications, where elements of that mixed service character are not available for your insight, but that you need to be able to anticipate and then react quickly should a change occur? I started thinking about it some more, and as I was engaging with other folks today at the show, I asked them why is it that the developer of the application found it necessary to alert me three times in a row that it couldn’t get my email because of a poor data connection? Why didn’t it just not wait 30 seconds, 60 seconds, 90 seconds until it did, and then have it reach out and query it again and pull the data down? This is just one very simple example that I had this morning. And you’re right, there are constantly changing conditions in the world. Bandwidth, latency, packet loss and jitter are those conditions that we’re all exposed to every day. If you’re in a BMW driving down the road at 100 miles per hour, that car is now a mobile phone or a mobile device on wheels, constantly in communication. Or if you’re riding the metro or the tube and you have your mobile device on your hands, there are constantly changing conditions. Network virtualization and service virtualization give you the ability to recreate those scenarios so that you can build that type of resiliency into your applications and, ultimately, the customers have the experience that you want them to have. Gardner: Todd, tell us about so-called application-performance engineering solutions? DeCapua: So, application performance engineering (APE) is something that was created within the industry over a number of years. It's meant to be a methodology and an approach. Shunra plays a role in that. A lot of people had thought about it as testing. Then people thought about it as performance testing. At the next level, many of us in the industry have defined it is application engineering. It’s a lot more than just that, because you need to dive behind the application and understand the in’s and the out’s. How does everything tie together? Understanding APE will help you to reduce those types of production incidents. You’d mentioned some of the composite applications and the complexities there -- and I’m including the endpoints or the devices or mobile devices connecting through it. Now, you introduce cloud into the equation, and it gets 10 times worse. Thinking about APE, it's more of an art and a skill. There is a science behind it. However, having that APE background knowledge and experience gives you the ability to go into these composite apps, go into these cloud deployments, and leverage the right tools and the right process to be able to quickly understand and optimize the solutions. Gardner: Why aren’t the older scripting and test-bed approaches to quality control good enough? Why can't we keep doing what we've been doing? DeCapua: In the United States recently, October 1 of 2013, there was a large healthcare system being rolled out across the country. Unfortunately, they used the old testing methodologies and have had some significant challenges. HP and Shunra were both engaged on October 2 to assist. They’re also thinking about how to shift and how to build performance in all these components -- just have it built in, have it be automatic, and get the results that are accurate. Gardner: Of course HP has service virtualization, you have network virtualization. How are they coming together? Explain the relationship and how Shunra and HP work together? DeCapua: To many people's surprise, this relationship is more than a decade old. Shunra’s network-virtualization capability has, for a long time, been built in to HP LoadRunner, also is now being built into HP Performance Center. There are other capabilities that we have that are built into their Unified Functional Testing (UFT) products. In addition, within service virtualization, we’re now building that product into there. It’s one that, when you think about anything that has some sort of distribution or network involved, network virtualization needs to come into play. Some people have a hard time initially understanding the service virtualization need, but a very simple example I often use is an organization like a bank. They’ll have a credit check as you’re applying for a loan. That credit check is not going to be a service that the bank creates. They’re going to outsource it to one of the many credit-check services. There is a network involved there. In your test environment, you need to recreate that and take that into consideration as a part of your end-to-end testing, whether it's functional, performance, or load. It doesn’t matter. In your test environment, you need to recreate that and take that into consideration as a part of your end-to-end testing, whether it's functional, performance, or load. As we think about Shunra, network virtualization and the very tight partnership that we've had with HP for service virtualization, as well as their ability to virtualize the users, it's been an OEM relationship. Our R and D teams sit together as they’re doing the development so that this is a seamless product for the HP customer to be able to get the benefit and value for their business and for their customers. Gardner: Let's talk a little bit about what you get when you do this right. It seems to me the obvious point is getting to the problem sooner, before you’re in production, extending across network variables, across other composite application-type variables. But, I’m going to guess that there are some other benefits that we haven't yet hit on. So, when you've set up you're testing, when you have virtualization as your tool, what happens in terms of paybacks? DeCapua: There are many benefits there, which we have already covered. There are dozens more that we could get into. One that I would highlight, being able to pull all the different pieces that we've been talking about, are shorter release times. TechValidate did a survey in February of 2013. The findings were very compelling in that they found a global bank was able to speed up their deployment or application delivery by 30 to 40 percent. What does that mean for that organization as compared to their competitor? If you can get to market 30 to 40 percent faster, it means millions or billions of dollars over time. Talk about numbers of customers or brands, it's a significant play there. There are other things like rapid deployment. As we think about Agile and mobile, it's all about how fast we get this feature function out, leveraging service virtualization in a greater way, and reducing associated costs. In the example that I shared, the customer was able to virtualize the users, virtualize the network, and virtualize the services. Prior to that, he would never have been able to justify the cost of rebuilding a production environment for test. Through user virtualization, network virtualization, and service virtualization, he was able to get to 100 percent at a fraction of the cost. Time and time again we mention automation. This is a key piece of how you can test early, test often, ultimately driving these accurate results and getting to the automated optimization recommendations. Gardner: What comes next in terms of software productivity? What should organizations be thinking in terms of vision? As I look at The Wall Street Journal, and I read the headlines everyday, it's scary. But, what's coming in the future? We can all look into our crystal balls and say that this is what it is. Why not focus on one or two small things of what we have now, and think about how we’re mitigating our risk of looking at larger organizations that are making commitments to migrate critical applications into the cloud? You’re biting off a fairly significant risk, which that there isn’t a lot there to catch you when you do it wrong, and, quite frankly, nearly everybody is doing it wrong. What if we start small and find a way to leverage some of these new capabilities? We can actually do it right, and then start to realize some of the benefits from cloud, mobile, and other channels that your organization is looking to. Gardner: The role of software keeps increasing in many organizations. It's becoming the business itself and, as a fundamental part of the business, requires lots of tender love and care. The more that we can think about that and tune ourselves and make ourselves lean and focused on delivering better quality products, we’re going to be in the winning circle more often. DeCapua: You got it. The only other bit that I would add on to that is looking at the World Quality Report that was presented this morning by HP, Capgemini, and Sogeti, they highlighted that there is an increased spend from the IT budget, and a rather significant increase in spend from last year in testing. It’s exactly what you’re saying. Organizations didn’t enter the market thinking of themselves as a software house. But time and time again, we’re seeing how people who treat what they do as a software house ultimately is improving not only life for their internal customers, but also their external customers. So I think you’re right. The more that we can think about that and tune ourselves and make ourselves lean and focused on delivering better quality software products, we’re going to be in the winning circle more often.